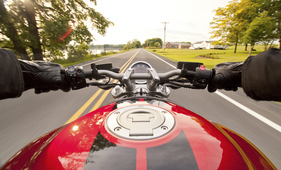 If the other driver is at fault, can I make a claim against their insurance following a motorcycle accident? Yes. If you are injured in a Ontario motorcycle accident as a result of another person's negligence, you can advance a Ontario personal injury lawsuit for your losses. This claim is made against the at-fault driver for compensation. Provided that the other driver has insurance, it is the insurance company that will defend and ultimately pay the claim for injuries and losses you sustained as a result of the motorcycle accident.